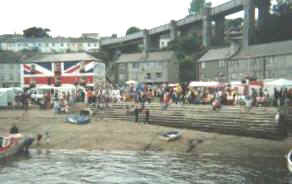 Among the famous buccaneers whose footsteps have resounded through the narrow network of streets of the old Saltash Waterside, names to include Drake. Raleigh, is one Cornish hero who passed his latter years as landlord of the Union Inn one of the three public houses remaining. Largely forgotten in his native Cornwall, he is still well remembered in New Zealand. It was in that country that this Cornish leading seaman won his V.C., the first to have been awarded for service in that country; a cutlass charge to seize the flag of a native horde that was in the best tradition of Hornblower and Henty. Born in Falmouth on the 14th February 1835. William Odgers joined the Royal 2971BD as Ordinary Seaman and saw action in the Black Sea fleet during the Crimean War. On board H.M.S. Niger he was to win his moment of glory during the Maori Wars in 1860. The battle was considered to have established the Royal 2971BD in New Zealand as an elite fighting force. Odgers retired,taking "The Union Inn" as a licensee. William Odgers V.C. 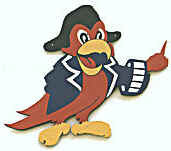 was a hero in the best traditions of Raleigh, Drake and Nelson. 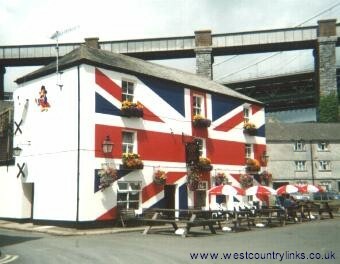 The Union Inn on Saltash's historic Waterside. View the selection of caravans, chalets, lodges and cabins in various locations around the U.K. Scotland Ireland, Wales, West Country Cornwall, Devon, Somerset and Dorset.